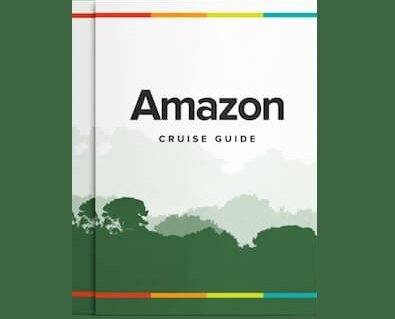 Stand Up For The Amazon! Earlier this month an international team set off on the challenge of a lifetime, aiming to be the first to descend the Amazon River using inflatable Stand Up Paddle boards. The team, led by Dr. Mika Peck, a conservation biologist from the University of Sussex, includes researchers and an indigenous community leader. They aim to travel 1300 kms through the Ecuadorean, Peruvian and Colombian Amazon before finally finishing at the Brazilian border. Their project, aptly titled “Stand Up for the Amazon”, is to raise funds for local conservation organizations and increase awareness of some of the challenges facing the Amazon basin. One such organization is Entropika, an NGO which works with communities to offer them alternatives to abandon the unsustainable hunting of night monkeys. Scarily around 4000 night monkeys are annually traded for the Colombian biomedical research market, 75% of which are illegally sourced from Peru. The team will also purchase and deliver to Entropika an eco-canoe, built with ancient techniques but modern materials by the Cofan, one of the oldest indigenous cultures in Ecuador's Amazon. Funds will also go to Maikuchiga, a wildlife rescue center, home to many confiscated primates and birds. The trip started in the Coca river, site of an oil spill in June in the Ecuadorean Amazon, and the team aim to report on the effects of the spill as they travel downstream. For Dr. Peck, the journey is the realization of a long term dream and a quest to find “some good news stories about conservation and sustainable development”. Follow their adventures and make a donation on their blog site here. The Delfin I Amazon river cruise offers Stand Up Paddle Boarding as an activity. For more information, look here.